Click Here To See Marvel Team-Up #4 Comic Book! Check out this very nice EARLY BRONZE AGE 1972 MARVEL battle page, which was penciled by the great Gil Kane, and inked by Steve Mitchell and Frank Giacoia, from the story titled: "And Then-- the X-Men!" This nice page features all out battle as the ORIGINAL X-MEN battle Morbius in every panel in just his 2nd storyline (After ASM 101-102)! 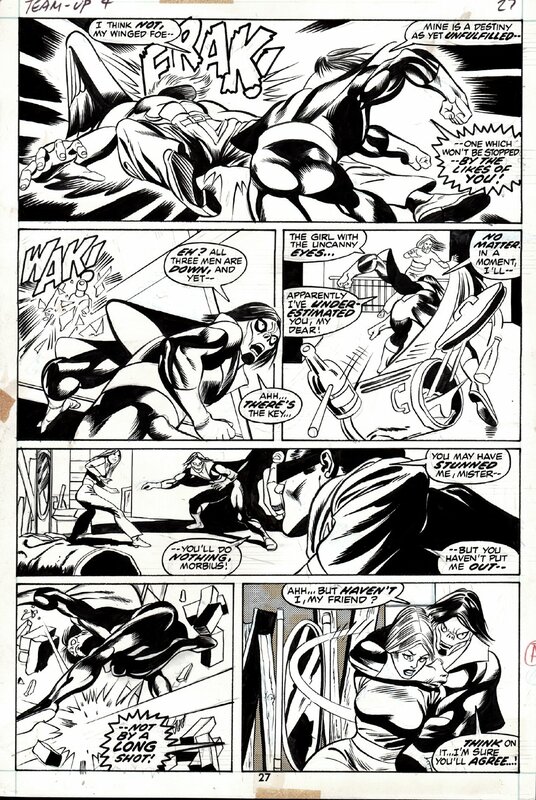 BRONZE AGE Marvel Super hero pages are getting increasingly hard to find, so don't miss out on a great opportunity here to own a nice Bronze Age 1972 X-MEN / Morbius BATTLE PAGE! ALL art on our website (including this one) are able to be purchased with VERY fair time payments, and trades are always considered towards "ANY" art on our website! Just send us an email to mikeburkey@aol.com and we can try to work something out. 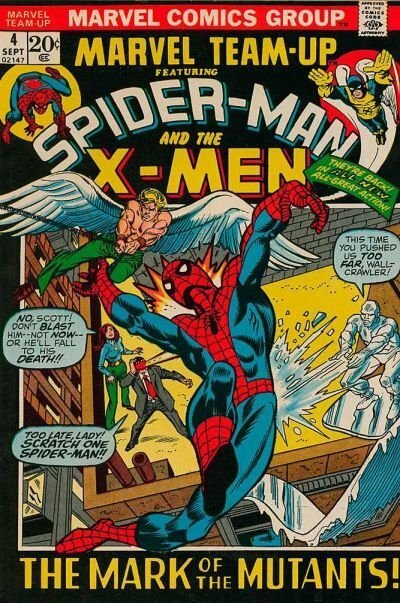 Amazing Spider-Man #96 Cover (1971) SOLD SOLD SOLD! Amazing Spider-Man 132 Cover (LARGE ART!) 1974 SOLD SOLD SOLD! Page: 4 SPLASH SOLD SOLD SOLD! What If? #24 p 21 SPLASH (1980) SOLD SOLD SOLD!